Believing in the unlimited potential of young people and the value of music education, Artistic Director Gail Suderman created the Voices in Performance (VIP) Young Artist Program to foster engagement and an appreciation for singing gospel music among youth in our communities. 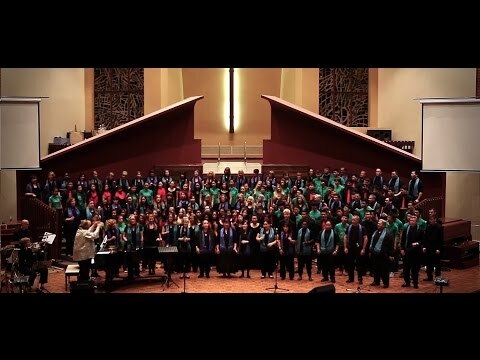 Since its inception, high school and community youth choirs have participated in gospel music workshops and performed with Good Noise in concert, both during the choir’s regular concert season and in special concert performances. This opportunity allows youth to gain valuable singing and performance experience as well as financial support for their choir and school music programs. Good Noise has designated April, 2019 as "A Month of Giving" in support of the VIP Young Artist Program. Help us expand the exciting work of creating opportunities for young people to experience the power of gospel music and the joy of singing.